2. Huang Xingyi, Jiang Pingkai. Chapter 4, Nanoparticle Surface Modification for Dielectric Polymer Nanocomposites, 75-108, in Tailoring of Nanocomposite Dielectrics: From Fundamentals to Devices and Applications by Toshikatsu Tanaka and Alun Vaughan (eds), 2016, Pan Stanford Publishing, ISBN 9789814669801. 1. 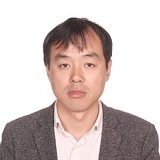 Huang Xingyi*, Sun Bin*, Zhu Yingke, Li Shengtao, Jiang Pingkai*, High-k Polymer Nanocomposites with 1D Filler for Dielectric and Energy Storage Applications, Progress in Materials Science, 2019, 100, 187-225. 2. Chen Jin，Huang Xingyi*, Sun Bin, Jiang Pingkai, Highly Thermally Conductive Yet Electrically Insulating Polymer/Boron Nitride Nanosheets Nanocomposite Films for Improved Thermal Management Capability, ACS Nano, 2019, DOI: 10.1021/acsnano.8b06290. 3. Wang Yuxin, Huang Xingyi*, Li Tao*, Li Liqiang, Guo Xiaojun, and Jiang Pingkai, Polymer-based Gate Dielectrics for Organic Field-effect Transistors Chem. Mater., DOI: 10.1021/acs.chemmater.8b03904, 2019. 4. Shi Kunming, Huang Xingyi*, Sun Bin, Jiang Pingkai. Cellulose/BaTiO3 aerogel paper based flexible piezoelectric nanogenerators and the electric coupling with triboelectricity, Nano Energy, 2019, 57, 450-458. 5. Shi Kunming, Sun Bin, Huang Xingyi*, Jiang Pingkai. Synergistic effect of graphene and BaTiO3 nanoparticles on performance enhancement of electrospun PVDF nanofiber mat for flexible piezoelectric nanogenerators, Nano Energy, 2018, 52, 153-156. 6. Chen Jie, Wang Yuxin, Li Hongfei, Han Huijing, Liao Xiaojuan, Sun Ruyi, Huang Xingyi*, Xie Meiran*. Rational Design and Modification of High-k Bis (double-stranded) Block Copolymer for High Electrical Energy Storage Capability, Chemistry of Materials, 2018, 30(3), 1102–1112. 7. Chen Jin, Huang Xingyi*, Zhu Yingke, Jiang Pingkai, Cellulose Nanofiber Supported 3D Interconnected BN Nanosheets for Epoxy Nanocomposites with Ultrahigh Thermal Management Capability. Advanced Functional Materials, 2017, 27, 1604754. 8. Huang Xingyi*, Jiang Pingkai*. Core-Shell Structured High-k Polymer Nanocomposites for Energy Storage and Dielectric Applications, Advanced Materials, 2015, 27(3), 546-554. 9. Wu Chao, Huang Xingyi*, Wu Xinfeng, Qian Rong, Jiang Pingkai*. Mechanically Flexible and Multifunctional Polymer-Based Graphene Foams for Elastic Conductors and Oil‐Water Separators, Advanced Materials, 2013, 25, 5658-5662. 10. Huang Xingyi, Zhi Chunyi*, Jiang Pingkai, Golberg Dmitri, Bando Yoshio, Tanaka Toshikatsu. Polyhedral Oligosilsesquioxane -modified Boron Nitride Nanotube Based Epoxy Nanocomposites: an Ideal Dielectric Material with High Thermal Conductivity. Advanced Functional Materials, 2013, 14, 1824-1831. 11. Wu Chao, Huang Xingyi*, Wang Genlin*, Lv Libing, Chen Gan, Li Guangyu, Jiang Pingkai*. Highly Conductive Nanocomposites with Three-Dimensional, Compactly Interconnected Graphene Networks via a Self-Assembly Process, Advanced Functional Materials, 2013, 23, 506-513. 12. Yang Ke, Huang Xingyi*, Huang, Yanhui, Xie Liyuan, Jiang Pingkai*. Fluoro-Polymer@BaTiO3 Hybrid Nanoparticles Prepared via RAFT Polymerization: Toward Ferroelectric Polymer Nanocomposites with High Dielectric Constant and Low Dielectric Loss for Energy Storage Application, Chemistry of Materials, 2013, 25, 2327-2338.